Members of the genus Chlamydomonas are found in soil, fresh water, oceans, and some species can be isolated from snow on mountain tops. Being that they are primarily photosynthetic they are, as you would expect, usually close to a light source but when they aren't able to expose themselves to light they can use acetate as an alternate carbon source and is why they have been found deeper in soil. One interesting member of the genus Chlamydomonas the species C. nivalis is considered psycrophilic or cold loving and actually thrives in cold environments. It has been isolated all over the world by scientists. 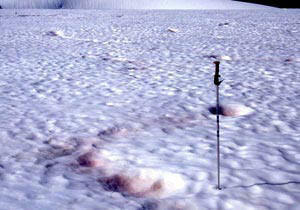 Sometimes referred to as watermelon snow, however don't let the name fool you it can become toxic if enough is ingested. Areas throughout the world where Chlamydomonas nivalis is commonly found. 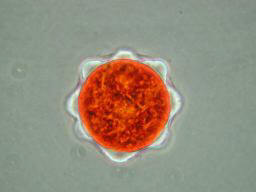 Chlamydomonas nivalis causes a red tint due to the carotenoid pigment the cell contains in order to more fully protect itself against intensive light. It also helps the cell absorb heat so it is able to melt the surrounding snow, essentially creating its own mini liquid environment. When first discovered many scientist where quite baffled by such an anomaly, this article was written concerning the discovery of the red snow by British captain John Ross. "Captain Sir John Ross has brought from Baffin's Bay a quantity of red snow, or rather snow-water, which has been submitted to chymical analysis in this country, in order to the discovery of the nature of its colouring matter. Our credulity is put to an extreme test upon this occasion, but we cannot learn that there is any reason to doubt the fact as stated. Sir John Ross did not see any red snow fall; but he saw large tracts overspread with it. The colour of the fields of snow was not uniform; but, on the contrary, there were patches or streaks more or less red, and of various depths of tint. The liquor, or dissolved snow, is of so dark a red as to resemble red port wine. It is stated, that the liquor deposits a sediment; and that the question is not answered, whether that sediment is of an animal or vegetable nature. It is suggested that the colour is derived from the soil on which the snow falls: in this case, no red snow can have been seen on the ice." 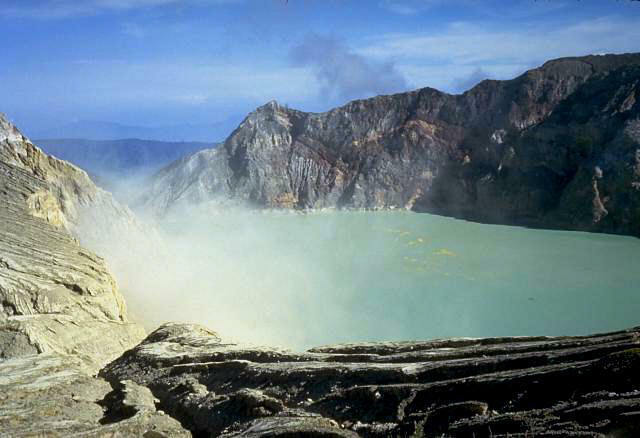 A little studied species of the genus Chlamydomonas is an acidophile meaning "acid lover" and has been isolated in some lakes that contain acidity levels as low as pH 2. 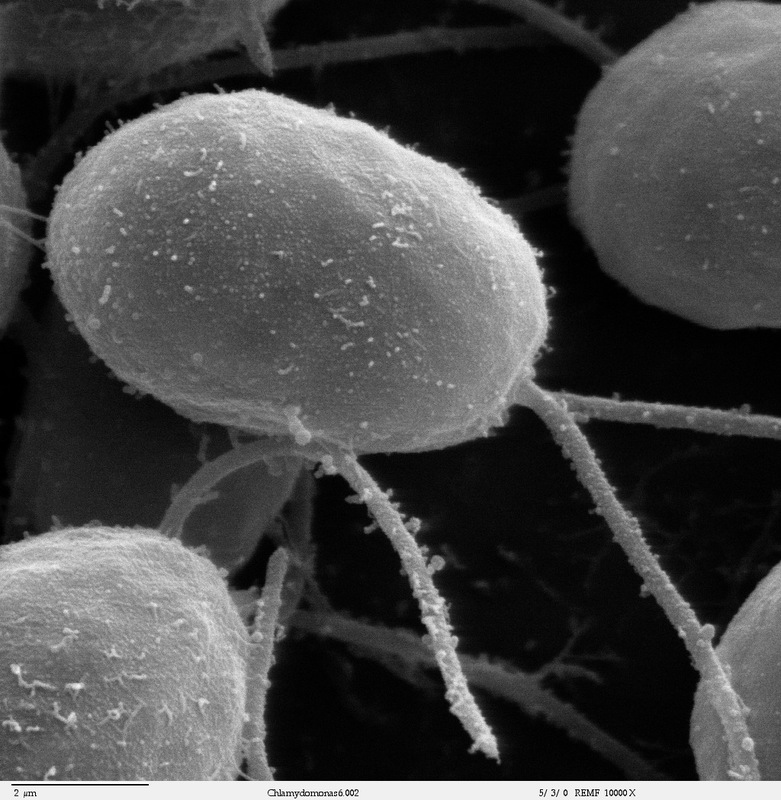 Chlamydomonas acidophila has developed adaptations in order to survive in such harsh conditions. 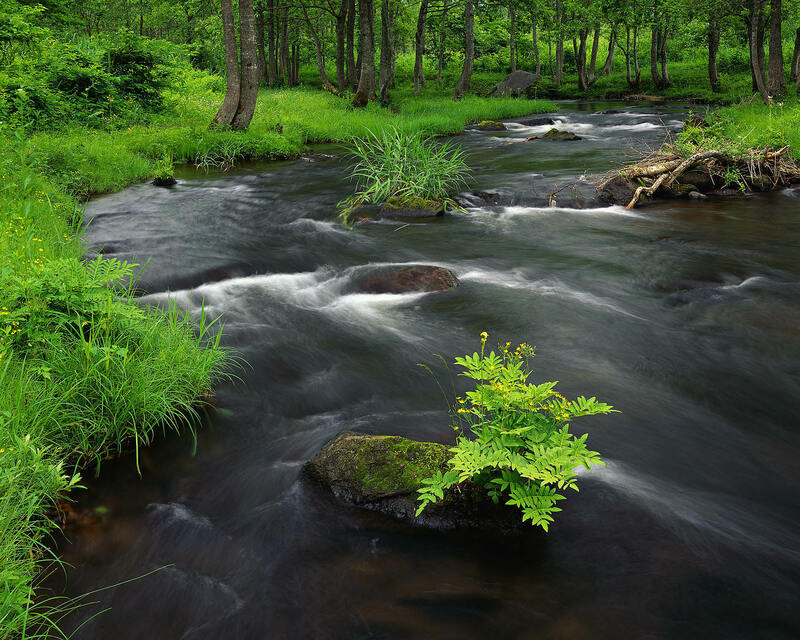 Light does not penetrate acidic lakes very well so in order to receive enough light to perform photosynthesis Chlamydomonas acidophila has developed a stronger chlorophyll b content to help absorb more light.